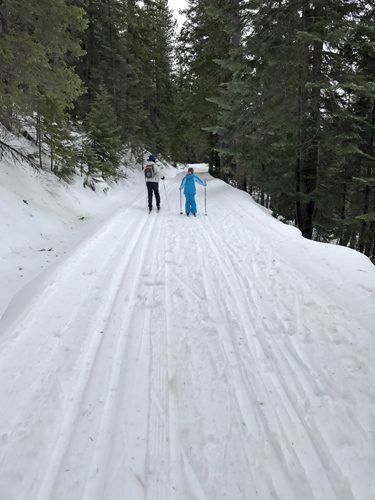 The Plain Valley Nordic Ski Trails offer a fun and easy way to go cross-country skiing a half hour drive north of Leavenworth. Passes can be purchased at the famous Plain Hardware Store. The south end of the 14 mile trail starts right there out the front door and heads to its north end at Thousand Trails resort. The entire set of trails is relatively level, with a few ups and downs here and there for variety. 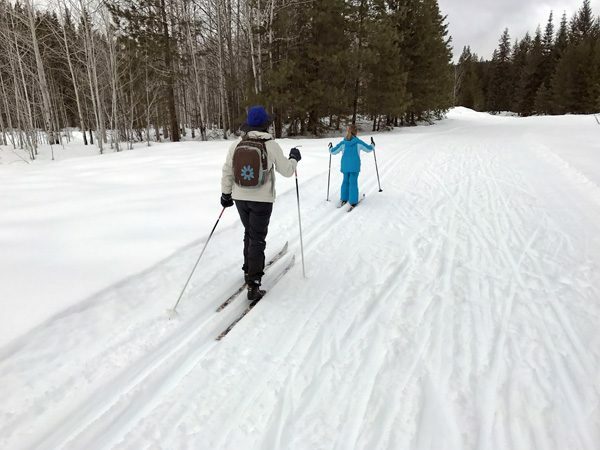 Terrain and views span from flat farm fields to rolling tree-lined trails above rivers.